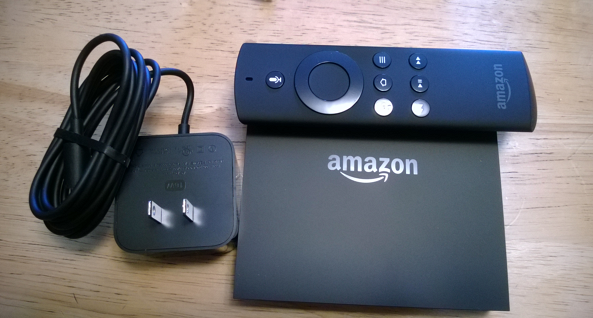 Last year Amazon rolled out its competitor in the set-top box market, the Fire TV. The box seemed to be a hit, and the price point was right to compete, at $99. That places it squarely in the crosshairs of Roku and Apple. But how is it fairing in this tight market? According to a recent report the answer is "quite well". According to Strategy Analytics, the retail giant is pulling in a whopping 30 percent of the current streaming media device market. In fact, the top four makers account for 90 percent of the total market. In fact, the report finds that more than 3.5 million of these set-top boxes were shipped during the first quarter of 2015. That's more than all smart TVs, blu-ray players and game consoles combined, which sounds staggering. It also brings the total now in operation in the US to 35.7 million. In contrast to Amazon, Apple has shipped 15 million units since 2007, followed by Roku at 13.5 million. Among the big makers, Strategy Analytics points out that currently "Apple TV, Roku streaming boxes, Chromecast and Amazon Fire TV now account for 18% of all Connected TV streaming devices installed in US homes up from 14% in Q1 2014". "Low-cost standalone digital media streamers are proving hugely popular with consumers who want a quick and easy way of accessing their favorite online streaming services on the living room TV and the entry of instantly recognizable brands such as Google and Amazon is helping maintain growth in the sector", according to David Watkins, service director for Connected Home Devices. We'll see where that market heads to from here. What devices do you own, or plan to buy?